Look UP---SMILE!-- We are on Spark! So, it's another UBER day--the last one for this week---Praise the Lord! Tess has had her walk--(did not want to come in)---and I got my 10 minutes in, on the Dreadmill (which is definitely not easy to fit in on a busy morning)----2071 steps so far----on my mission for 5000 to-day. LORD LOVE A DUCK!----HELLO SPARK PEOPLE! I hope your granddaughter is doing well. Prayers! Reminds me of a Blood, Sweat, and Tears song "Look Up To The Sky". aww how is your granddaughter doing? I had eye surgery when I was three years old for strabismus (sp?) (one eye pulled off to the side.). I guess they did an ok job but I still have it as a old kid, and doctors won't do a repair on it. Oh well. She looks adorable in her pink glasses! Praying all goes well for your family!! Prayer out to the family and grandbaby that her surgery goes well. Today IS a good day, so let's ALL look up!!!! Hope everything goes ok for your grandbaby today. I am having to use a walker because I did something to my knee and can barely walk, even with the walker. Have to call the Dr. Monday. No exercising so am watching my eating very closely. Love your positive attitude with everything that's going on. Hope everything goes well with your grandbaby, she's precious. 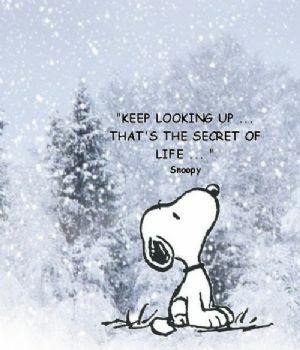 Keep looking up! Keep smiling and keep Sparking! How is your grandbaby doing? Busy day to end another busy week, prayers for your granddaughter's surgery. I DON'T WANT TO GET TO MY HIGHEST WEIGHT EITHER!! I'VE BEEN AWAY FROM THE GYM WITH BACK AND KNEE PROBLEMS FOR THE PAST FOUR MONTHS AND MY WEIGHT SLOWLY CREEPING UP! I'M HOPING THAT I'LL FINALLY BE ABLE TO GET BACK TO SOME KIND OF NORMAL EXERCISE ROUTINEON MONDAY, SLOWLY BUT SURELY WILL HAVE TO DO IT FOR ME FOR A WHILE WHEN I DO START ONCE AGAIN! Hope all went well with your granddaughter, she is a cutie. I agree I never want to see my top weight again. No matter what I have to keep moving and trying to eat healthier. Sending prayers for your granddaughter! Prayers for that cute little girl, her caregivers and ALL of her family! Like you, I am determined never to see that huge # again! I love Peanuts. I visited the Charles M Schulz museum north of San Francisco once and would love to go back! to NEVER see our highest weights again and to in fact never see a higher weight. :)Prayers for your granddaughter and a speedy recovery!!! I take the pledge also, and add the the others' wish for successful eye surgery. I pray that your grand daughter's surgery was successful. and hope for a good results for your Wee One ! Well said! Hope your granddaughter is well. Thanks for sharing. Pray all went well with the WEE one. Hope your granddaughter's surgery went well. 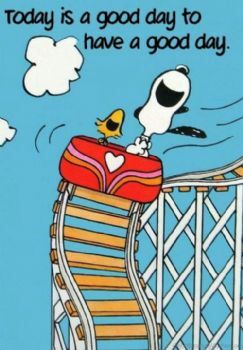 I love Snoopy. He had some wise things to say. 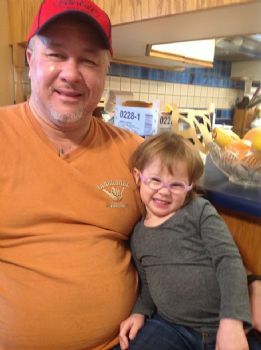 Sending prayers for your granddaughter for quick healing.. Great blog today. I totally agree with you! 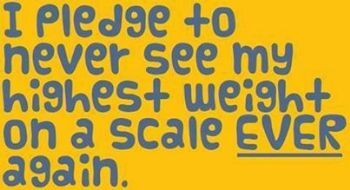 Regarding that highest weight - me too!!! Prayers for your precious Granddaughter. Keep Looking UP! I hope your granddaughter did okay! You are so faithful in blogging. Hugs to your sweet wee granddaughter. Hope the surgery goes well. We are getting snow here. The roofs are turning white. Like it or not winter is coming. What a sweet little girl! I hope the surgery was a success! Prayers for your precious grand baby and you all. I hope your granddaughter's surgery went well! Wish the grand daughter well. You are a buisy one. Hope the surgery went well.